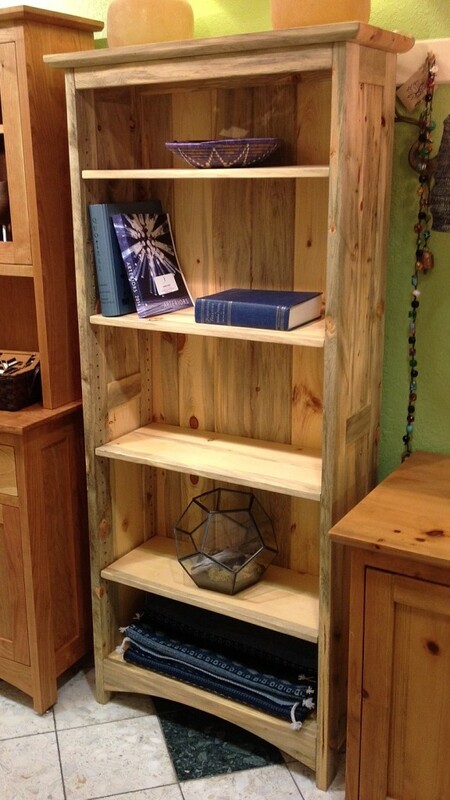 We are proud to turn salvaged Beetlekill Blue Pine from nearby forests into stunning furniture in an array of styles. Our “Prairie” style shown features clean lines in the Shaker tradition, plus tongue-and-groove backing to show off the natural blue-gray coloring. Made-to-Order in our local workshop from your choice of solid hardwood or local Beetlekill in any size. Specify footprint, height and fixed or adjustable shelves. Finished with our signature hand-rubbed oil blend.